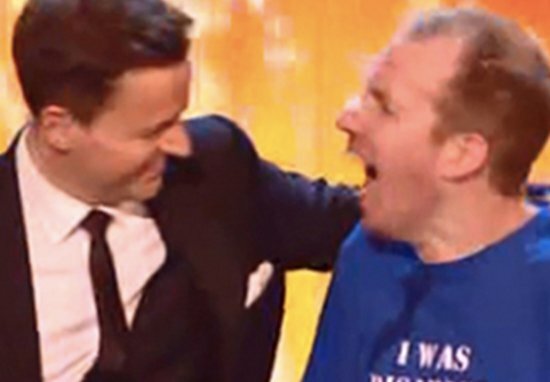 You should all know by now, but just in case you didn’t read the headline of the article you just clicked on, Lost Voice Guy won Britain’s Got Talent last night. After an incredibly close finale to the talent show, where it came down to two brilliant comedians, it was Lost Voice Guy who came out on top and was crowned the winner. Now, less than 24 hours since the big win for the comedian, Ridley has revealed what he’s going to spend his prize money on – a new accent for his iPad. As The Sun reports, the comedian is hoping to swap the current ‘posh Robocop’ accent for his native Geordie one. The stand-up also revealed he’d like to pay back those who have helped him over the years. I also think I’d like to help the people who got me to where I am. I have several support workers who help me get to all of my gigs, so I’d like to reward them properly for all their hard work. May family have always supported me as well, and let’s face, doing stand up comedy when you can’t even speak is a pretty crazy dream, so I’d buy them all something nice too. But, most of all, I also want to become best mates with Ant and Dec.
We think they’d make a great TV-presenting trio! After host Declan Donally did a truly impressive job hosting the final without his usual partner Ant McPartlin by his side, it’s already been brought to question whether McPartlin will return at all. The 42-year-old checked into rehab following his drink-driving car crash on March 18, and was discharged after a month of treatment. Simon Cowell, however, has ‘confirmed’ that the presenter will return, saying ‘we want him back’ when the next series is ready to be filmed.